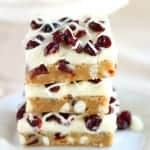 Do you love Starbucks Cranberry Bliss Bars? This recipe is for you! 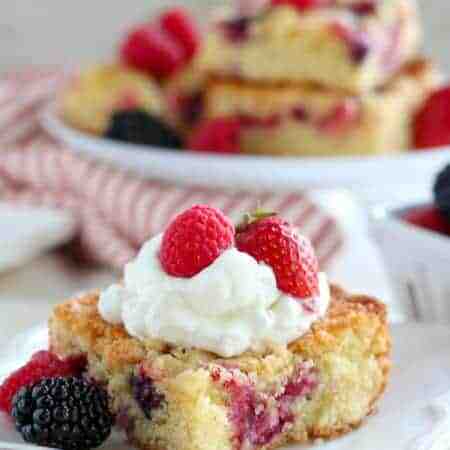 Soft blondies, white chocolate chips and dried cranberries. Wait until you see what’s in the frosting! These are always met with rave reviews. VIDEO below! 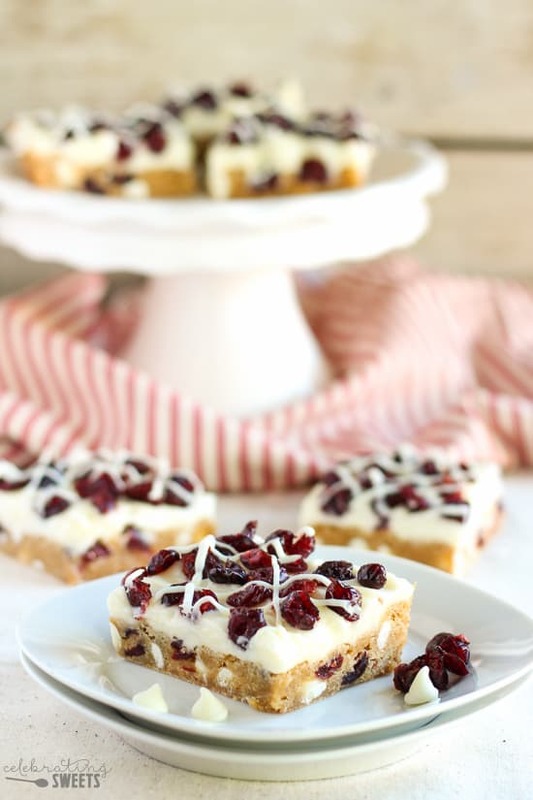 Get ready to make friends – these Cranberry Bliss Bars are a huge crowd favorite. I’ve been making them for several years and they are always quickly devoured. If you’ve had a Starbucks Cranberry Bliss Bar, then you know how great this flavor combo is – white chocolate and dried cranberries are a match made in heaven! These are a very close replica to the Starbucks bars, but I actually like them better! Plus, it’s way more affordable to whip these up at home. This recipe is made up of a soft and sweet blondie bar which is filled with dried cranberries and white chocolate chips. The blondie batter comes together in a matter of minutes. Once baked and cooled, the bars are topped with a white chocolate cream cheese frosting and then garnished with more dried cranberries and a few drizzles of melted white chocolate. The red and white colors makes these bars perfect for the holiday season. But feel free to make them year round! We’re using dried cranberries (not fresh), and we have access to those all year. Yippee! 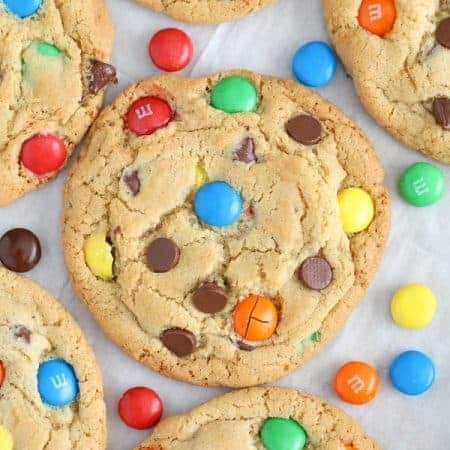 My number one tip is NOT to over-bake these. The top of the bars should be dry with the center just slightly underdone when you pull them from the oven. They will continue to cook a bit as they cool. We’re going for soft and tender bars – not dry and hard. Make sure that you melt the white chocolate very slowly. It can go from melted to lumpy and overdone in a matter of seconds. Everything else is very straight forward. Bake a batch and enjoy! 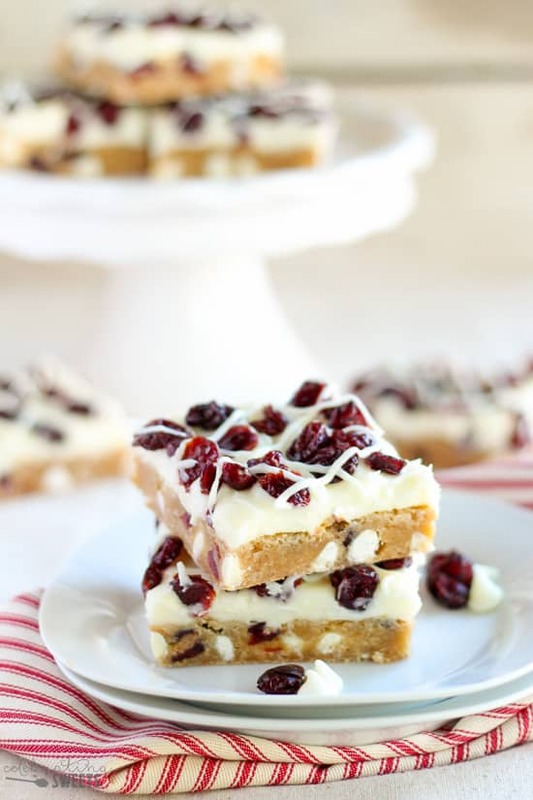 Soft blondies filled with dried cranberries and white chocolate chips and topped with a white chocolate cream cheese frosting (similar to Starbucks Cranberry Bliss Bars). 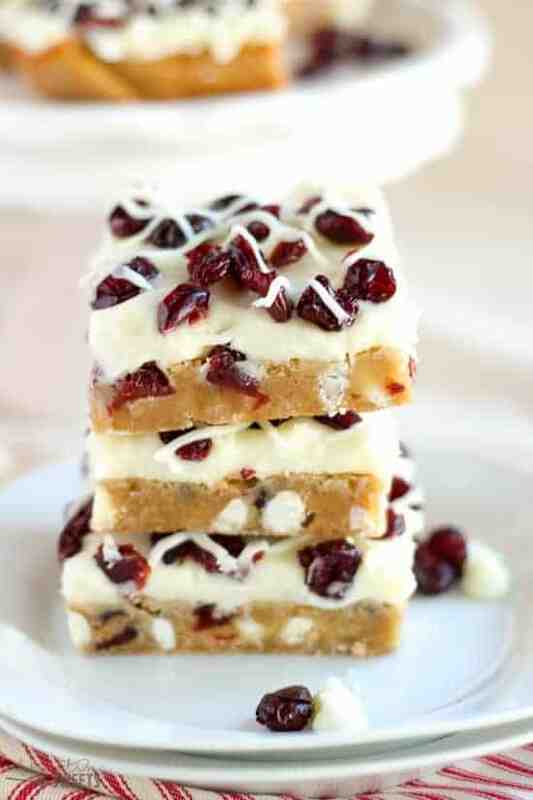 These Cranberry White Chocolate Bars make a fantastic holiday dessert! Preheat oven to 350°F. Line an 8x11 pan (see note) with foil and grease the foil. In a large bowl, whisk melted butter and brown sugar. Add egg and vanilla extract, whisk until combined. In a separate bowl, combine flour, baking powder and salt. Add flour mixture to butter mixture and stir until the ingredients are combined. Fold in 1/2 cup of dried cranberries and 1/2 cup of white chocolate chips. Spread the batter in an even layer in the prepared pan (the batter will be thick). Bake for 15-18 minutes. The bars are done when they have puffed slightly, are light brown and a toothpick inserted into the center comes out clean. They will appear a little underdone but they will continue to cook as they cool. Be careful not to over bake them. Cool completely on a wire rack before frosting. Using a hand mixer or stand mixer, beat the cream cheese and butter until smooth. Add the powdered sugar and salt and beat until combined, scraping the sides of the bowl as needed. Add in half of the melted white chocolate and beat to combine. Add a splash of milk, if necessary, to thin the frosting. Spread the bars with the frosting (this makes a generous amount of frosting, you might not need all of it). Scatter the dried cranberries on top. Drizzle the remaining melted white chocolate over the top. Store the bars tightly covered in the refrigerator, I find that they cut cleanest once they have been refrigerated. Allow them to sit at room temperature for an hour or so before serving. PAN SIZE: I have made this exact recipe in an 8x11 pan (my preference) and a 9x9 square pan. The 9x9 pan will make bars that are thicker, whereas the 8x11 pan will make thinner bars (as pictured). If using a 9x9 pan bake the bars for 18-20 minutes. I do not recommend an 8x8 pan. MELTING WHITE CHOCOLATE: You can melt it in the microwave or in a double boiler. If you use the microwave you have to melt it very slowly. I put it in for 10-15 seconds at a time and stir between each interval. I have the best luck with good quality white chocolate. I typically use Guittard or Ghirardelli. OPTIONAL: Add a teaspoon of finely grated orange zest to the blondie batter or the frosting. I had one of these bars 3 wks ago at Starbucks for the very first time & OMG. . . D-Lish! Thus, why I sought out this recipe. I’ve made them today (dry run for xmas w/fam). They turned out great tasting but not practical to serve! Problem #1 is that my 9×9″ is actually metric & therefore smaller (more like 8.3×8.3″). Turned out very thick but puffed up evenly. Problem #2 is once cooled, it colapsed in center leaving about 1″ of tall overdone outside edges. Problem #3 is once I took out of pan (by buttered tinfoil) it broke very easily in multiple areas. My take, they must be under cooked & I must need a better sized pan (gonna try 9×13″). Also, I replaced the white flour w/ half of finely ground almond flour & the other half was whole grain whole wheat flour. Sad. Quite sad. Good thing it was a dry run. Hi, Mary. I’m sorry to hear that these didn’t work out for you. You definitely need a bigger pan. In the recipe I recommend an 8×11 (my preference) or a 9×9, but I mention that the 9×9 will make thicker bars. If you used an 8×8, that was definitely too much batter for that size pan. Also, I can almost guarantee you that almond flour is what caused these to collapse and break. Almond flour is very delicate and absolutely not going to be strong enough to hold up in these bars. Almond flour cannot be used in place of all purpose flour in this recipe. 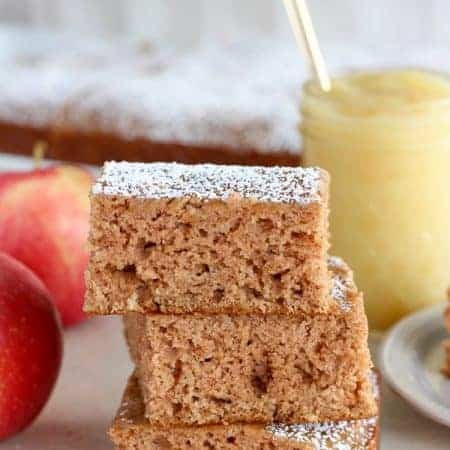 Also, if you choose to replace the all-purpose flour with whole wheat flour these bars will be drier and more dense than they are intended to be (they will not be similar to the Starbucks version). Regardless, I know it’s frustrating to waste ingredients, so I’m sorry about that. If you have any other questions about making adaptations to this recipe please let me know. I’ve made these nearly a dozen times. Yes. But I would recommend freezing the bars UNfrosted, then frosting them after they have thawed. Made the frosting from this recipe for an orange cranberry white chocolate chip cookie. I changed it a bit but it turned out fantastic!!! Thank you for the recipe! I sourced you as the inspiration and base recipe. Thanks again!